Colour: Silver glitter on black mirror. Mirror with a Liquid Glass Glitter Tree. 2cm bevelled edge mirror panel on 18mm flocked backing. 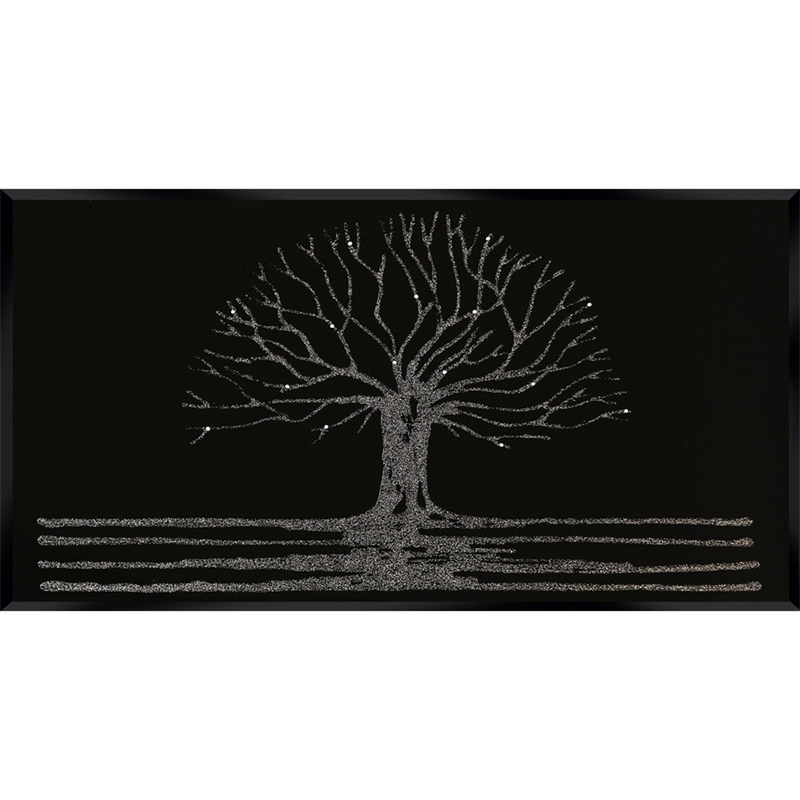 We are proud to introduce our new and beautiful Silver Glitter Tree On Black. Coming in two set sizes although you can purchase your design and have it custom sized. Featuring a stunning tree made from silver glitter on a enchanting black mirror. Adding nature and glamour to your home, you wont be disappointed with your purchase.